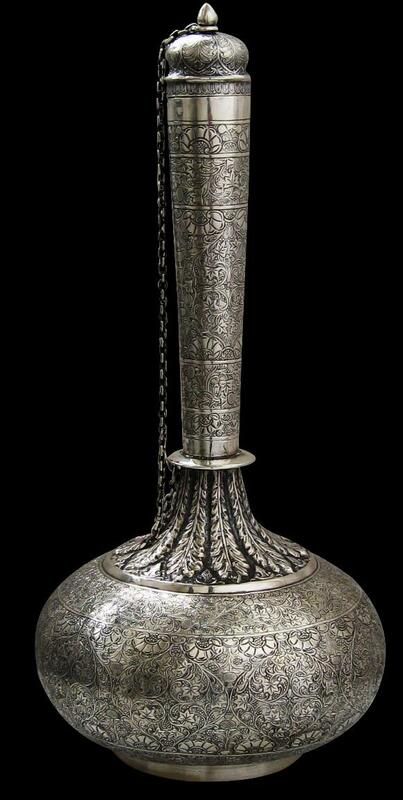 A disproportionate number of Scotsmen were employed in the colonial administration of India, suggesting a source of inspiration for the Lucknow silversmith who crafted this piece. 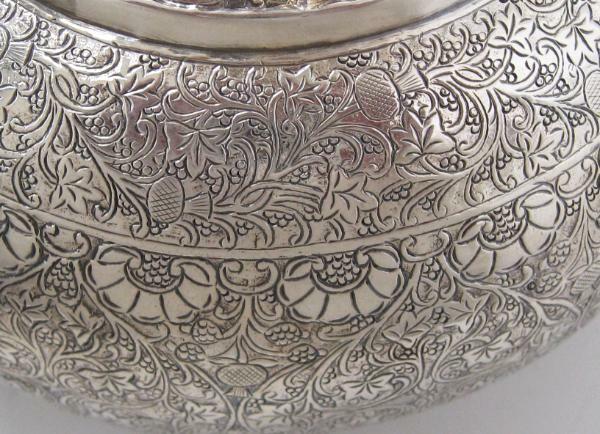 The thistles are worked into the dense design among the flower motifs more usually encountered in Lucknow work. 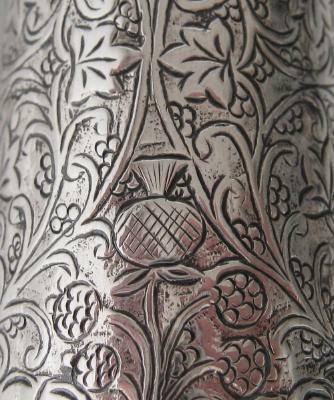 The flask sits on a low ring foot. A long chain connects the lid, which has an architectural quality, to the narrow neck. The neck rises from a wide border of acanthus leaves. Overall, this is a delightfully fine piece in excellent condition.